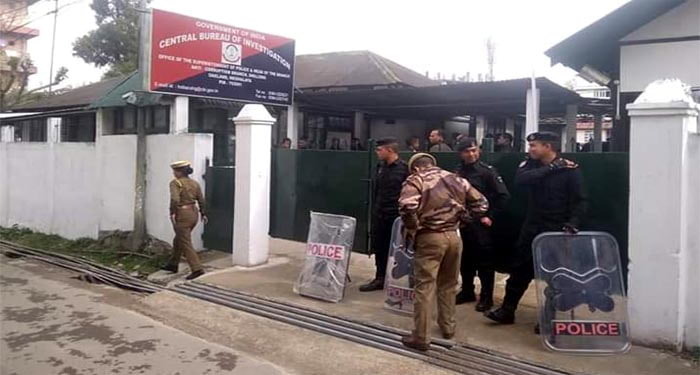 CBI Shillong office where Kumar was questioned today. 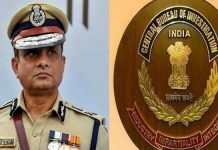 Silchar: The Central Bureau of Investigation (CBI) today grilled Kolkata Police commissioner Rajeev Kumar throughout the day in Shillong in connection with the chit-fund scam probe. Kumar has been asked to come over for questioning again tomorrow 10 February. Kunal Ghosh, a former Rajya Sabha MP of the Trinamool, whom Kumar had arrested in pursuance of a Bengal government investigation into the chit-fund scam will also face the CBI tomorrow. The Kolkata Police commissioner, dressed in civil attire, walked into CBI’s local office at Oakland Road in Shillong’s Police Bazar area at 10.45 am. CBI started questioning him from around 12 noon. Kumar left the CBI office at 7.15 pm, after spending almost the entire day facing the investigating agency’s queries into his alleged role in the destruction of evidence in the scam that came to light in 2013. In between, the IPS officer was allowed a lunch break and a tea break late in the afternoon. This implies that Kumar has today spent almost six hours facing the volley of questionings from CBI officers. Sources maintained that CBI had prepared a questionnaire with 22 queries on which the Kolkata Police commissioner was grilled. During the lunch break, Kumar interacted with his colleagues ~ additional CP Jawed Shamim and deputy commissioner of special task force Murlidhar Sharma ~ who also flew to Shillong with him yesterday. The questioning of Kumar isn’t over yet. He has been asked to turn up for questioning again tomorrow. Chances are that he might be questioned together with the former Trinamool MP Ghosh, who while being lodged in jail custody had alleged complicity of Chief Minister Mamata Banerjee in the chit-fund scam. Ghosh told reporters at Kolkata airport that he will go to the CBI office at 10 am tomorrow and is open to being quizzed together with the Kolkata Police commissioner. 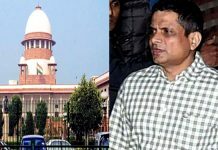 It is following an order of the Supreme Court that the CBI is questioning Kumar in “neutral venue” Shillong after the Kolkata Police on 3 February had thwarted a CBI move to quiz him in Kolkata. The apex court has, however, asked CBI not to take “coercive steps” against Kumar till the next hearing on 20 February.